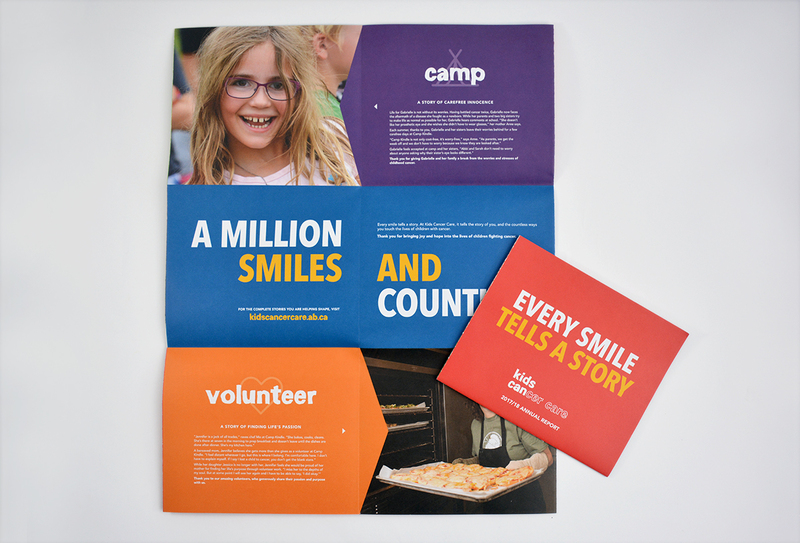 Bold, bright design, honest photography and heartfelt stories are at the heart of the 2017 annual report for Kids Cancer Care. 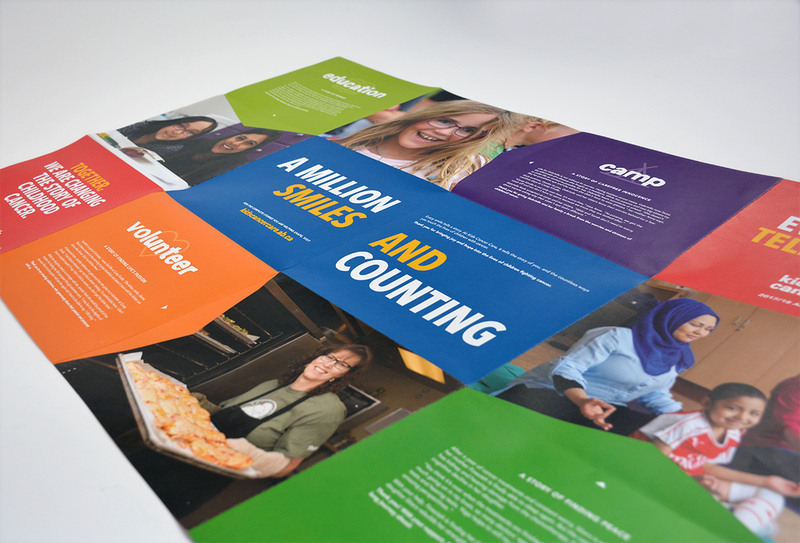 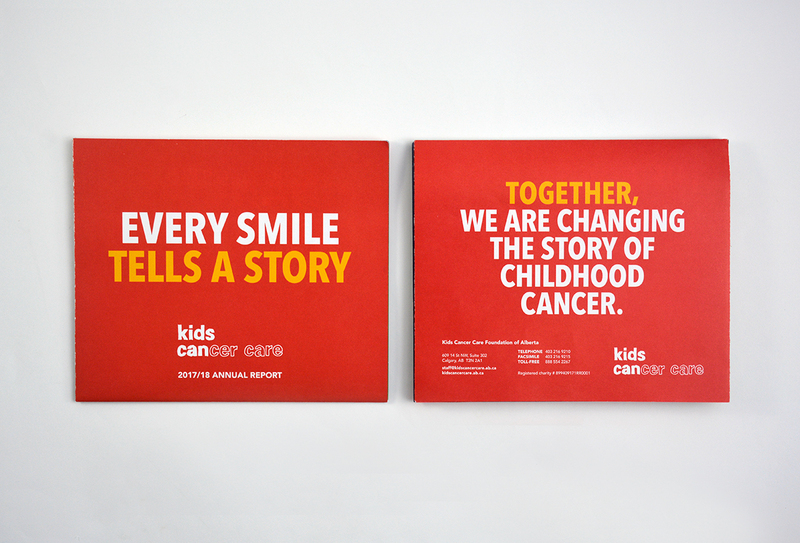 The large poster style of this year’s report allows for bold visuals and compelling messaging to tell the Kids Cancer Care story. 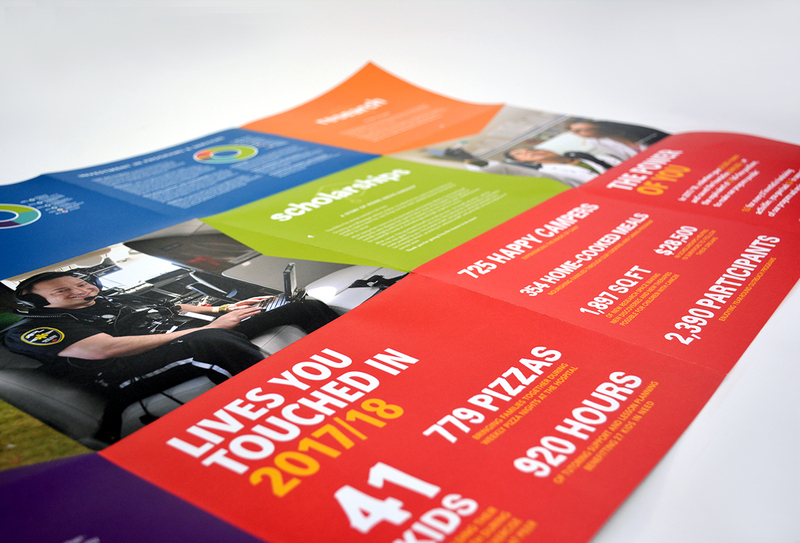 Readers are encouraged to read the snippets of stories as they unfold the report and are then directed to an online version where they can read the full stories.